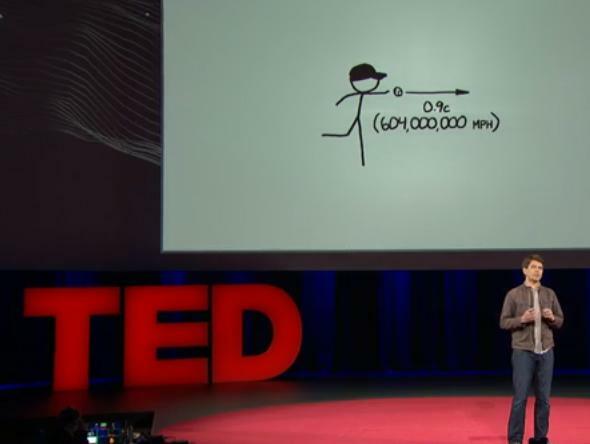 Xkcd and fastballs: Randall Munroe gives a TED talk. What if someone threw a baseball at you at 970 million kilometers per hour? Bad things. Very bad things. But one good thing to come out of that is a great and fun TED talk by my friend Randall Munroe, author of the xkcd and what if? comics. A transcript is available, too. Randall is a delight. He has in abundance that most wonderful and peculiarly human of all characteristics: curiosity. But it’s backed by a (very) keen intellect, and a sense of wonder that turns his stick figure comics into scientific poetry. Drawing by Randall Munroe, from what if? One of my favorite things in the world is to take a simple question and run it all the way through to its (sometimes most ridiculous) logical conclusion; its something science-fiction authors Isaac Asimov and Larry Niven would do in their speculative nonfiction essays that I read as a kid. I’ve done it myself a few times, but Randall has a way of making it fun and accessible that I envy. We should all be so curious, so eager to seek answers, and to not flinch from them when they may not be so palatable. Congrats, Randall! Randall has written a “what if” book which comes out in September. Go buy it!